Carolina Cargo has grown from a one-truck operation to a $25 million dollar nationwide carrier. We believe in continually reinvesting in our transport fleet, which enables our team to perform at levels exceeding industry standards. 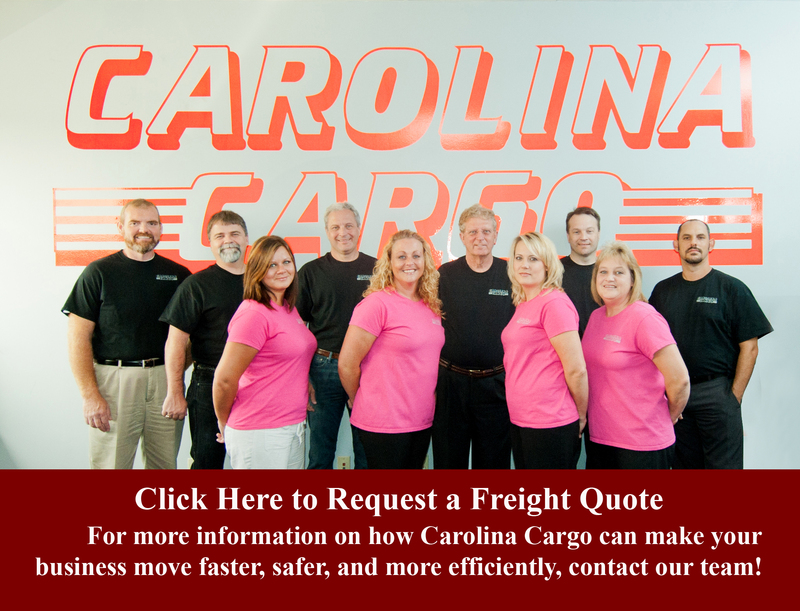 Carolina Cargo has focused on fast, reliable coast to coast freight delivery for nearly 20 years and has expanded to a fleet of 100 trucks running over 250,000 miles each year with fleet utilization exceeding 80% consistently. Carolina Cargo’s mission is to become the carrier of choice for long-haul general and refrigerated freight business in the Carolinas. Our goal is to be recognized by our customers as the most dependable and cost-effective coast to coast transport carrier available. The predictability of customer deliveries and the safety of customer freight drive our short- and long-term business strategies. Our company offers a wide variety of truck load and LTL shipments to and from anywhere in the United States. A program of continuous improvement is designed and conducted in-house for drivers that form two-man driver teams that target a third morning delivery schedule coast to coast. This strategy provides industrious teams the opportunity to cover 250,000 to 300,000 miles per year. Because of our industry niche, we can offer highly competitive rates in the West-bound markets and preferential rates to volume customers that are willing to dedicate business on freight bound for California or adjacent states. Carolina Cargo’s transport fleet consists of late-model International and Freightliner power units, 53-foot vans, and 48-foot to 53-foot refrigerated trailers. 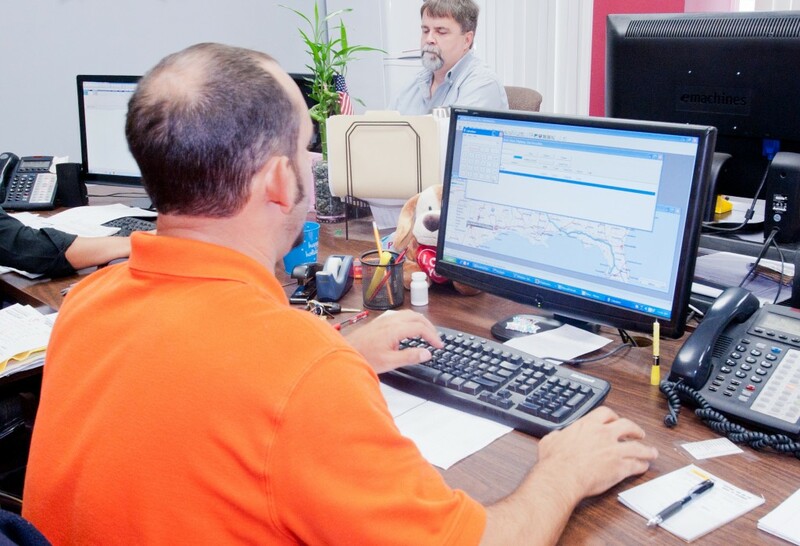 Our drivers are typically on the road 5 to 8 days and we utilize interactive GPS tracking on 100% of our power units. Existing customers can log in to our high-tech online satellite tracking system to manage and monitor shipments. The technology focus at Carolina Cargo includes the development of Refrigerated Trailer tracking and control systems that allow us to monitor the temperature of in-route refrigerated freight from the terminal in Rock Hill, South Carolina. This has enabled us to monitor and insure consistent refrigeration and air flow remotely, without driver intervention. Internal operations are active and operating 24 hours a day, 365 days a year. The company uses advanced systems that are fully integrated from dispatch through billing and payroll to maintain an efficient and reliable base of information to support the operational side of the business as well as efficient and effective “back office” transaction processing. 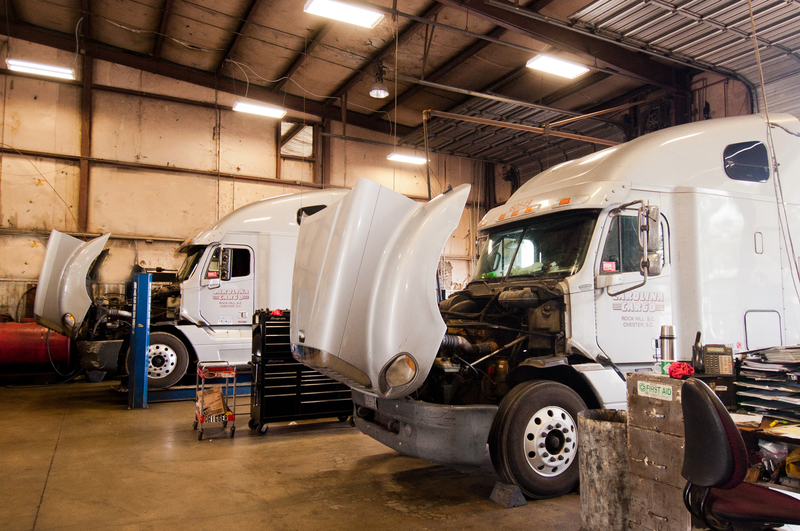 Carolina Cargo makes its repair shop expertise supports the daily requirements of fleet operations aggressively. We employ a professional maintenance staff that are available 24/7 to repair, pm, and expedite power availability and utilization. Through the use of sophisticated maintenance scheduling and reporting systems, the maintenance staff monitors and performs the rigorous vehicle maintenance requirements. Carolina Cargo makes its repair shop expertise available to competitors traveling the I-77 corridor. We have three service bays, 24 mechanics on staff and the only existing full-service service shop facility available. With parts on-hand, it’s easy to make sure you get back on the road as quick as possible with a quality repair that will endure the miles. Site Maintained by The Mac Neil Bros. Copyright © - 2017 Carolina Cargo Inc.